Look closely among the bins of greens at the farmer's market later this month, and you'll likely find a pile of tight, dark green bundles marked Upland Cress. In season from late fall through early spring, upland is similar in appearance to its better-known cousin, watercress, but boasts a deeper pungency that would be a shame to miss. A member of the mustard family, upland cress packs a sharp, peppery heat more akin in flavor to horseradish than the tea sandwich staple. I chanced upon upland cress for the first time during a visit to the Union Square Greenmarket late last spring. It was at the very tail end of the season, when the cress was no longer at its peak, but the vibrancy and peppery flavor was unmistakable. Upland cress will come back into season in just a few short weeks, and this time, I'm determined not to miss it. Those first few days after I tasted my first bite of upland, I was completely hooked. I dived online (as I am wont to do) and spent quite a while googling the elusive greens. I learned that, though rare in these parts, the greens are actually quite popular elsewhere in the country (and also, apparently, in the UK). 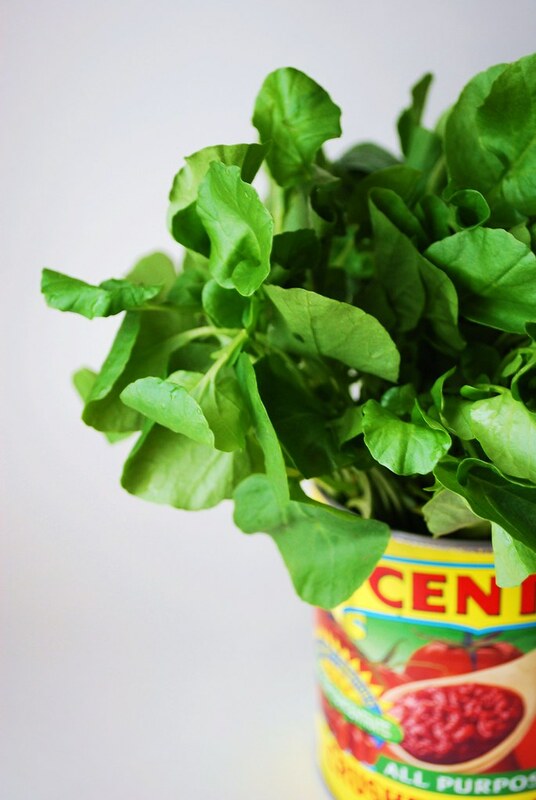 For the simplest preparation, use upland cress the same way you would watercress. Left raw, the leaves can be chopped and mixed into a sald, tucked into a sandwich, or strewn over broiled fish as a garnish. Use a food processor to blend a handful of upland cress with a cup of Greek yogurt and a garlic clove or two for a lively accompaniment to grilled meats (I also love this as a spread on turkey sandwiches). Take note that the green's spicy bite may be too much for those with a more delicate palate. At the market one day, a man noticed me milling about the bin of creasies and asked me how I prepared them. I launched into an enthusiastic explanation complete with the above recipe suggestions, when he stopped me to say that he'd tried them in a salad but found them much too spicy. To tame the heat, I suggested he take a hint from southern chefs who cook upland cress like spinach or collards. Steamed, sauteed, or boiled, they make a particularly fitting pair to smoked turkey or ham. You can tell that I'm a fan of these spicy greens, so if you have any tips or recipes, I'd love to hear them. Just writing this I'm already looking forward to the next time I spot the wooden crate filled with them. P.S. If you do happen to buy a bunch of the hydroponic cress, I've found that it will keep on the counter for about a week, provided it's kept in plenty of fresh filtered or bottled water. I tuck a porcelain ramekin into an empty tomato can and pour a bit of water over the root ball each day. Stylish and functional, no? I was looking for some arugula at the store tonight and couldn't find any so I picked up some Upland Cress. This stuff is fabulous! I made some rigatoni and tossed in olive oil and a little white wine garlic, crushed red pepper flakes, lemon, Parmesan and the upland cress. It's fabulous! I am from West Virginia and grew up on these greens. Good article! Delightful! I just bought my first pack of hydroponically grown Upland Cress. Replanted the roots in a sunny southern window here in north Texas, and now I'm preparing to experiment with it in parsley pesto, of all things! I like spicy so it will be great. Just google parsley pesto for bunches of recipes.